Hudson Bay Trade Goods List 1733 . The Hudson's Bay Company eventually introduced coins to facilitate the fur trade. The coins were minted of brass or copper and were issued in units of Made Beaver. 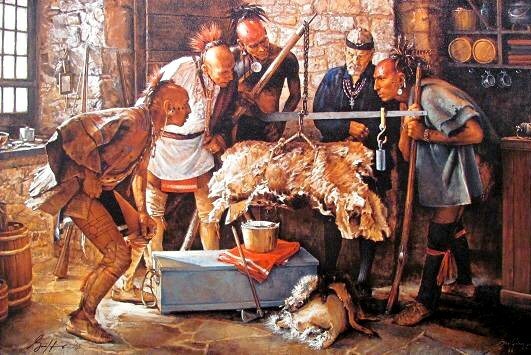 The coins were paid to the Indian hunter for the furs he brought in. The coins could then be spent like cash inside the Hudson's Bay Company store. Beaver at this time were worth about $6 and a small axe could be purchased in Montreal for 50 cents or less.